I was recently invited by Psykick Dancehall Recordings, in residence this month at CCA Glasgow, to take part in their project Put the Music in Its Coffin, charting people’s responses to sounds, performances and recordings that have been important for them. 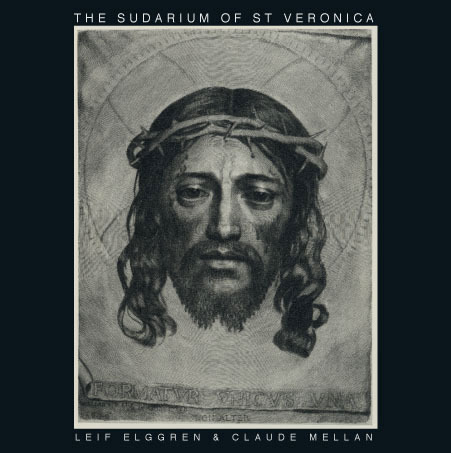 I sent a text that I’d written one morning, after dreaming of a sound in Leif Elggren’s The Sudarium of St. Veronica. [From the CD notes on the Firework Edition website]: ‘The basic sound source for this CD is the copper engraving The Sudarium of St. Veronica, cut by the French artist Claude Mellan (1598-1688) in Paris, 1649. A portrait of Christ engraved through a continuous spiral line that starts at the tip of his nose. An old heliogravure (a 19th-century reproduction of one of the original prints) was used to make a photo etching in copper to get a replica as close as possible to the original plate. This plate was played back with a specially constructed record player and recorded at Firework Edition, Stockholm, July 17, 2007′. in spite of its unfolding. The face on the turntable, slit. Its thorns and edges scratch the leaden aura deep. remind of the repeated circling of an end: the unique one made by one, and over. it spirals away on the margin of not. What of the sounds? As sounds, they’ll stay as such. What will this fragment be, it never will be sound. A record: recordare: to remember. Darksome over the day, in this room and another. And he? He is a sovereign of the past. Inscrutable and taciturn, angular, non alter.